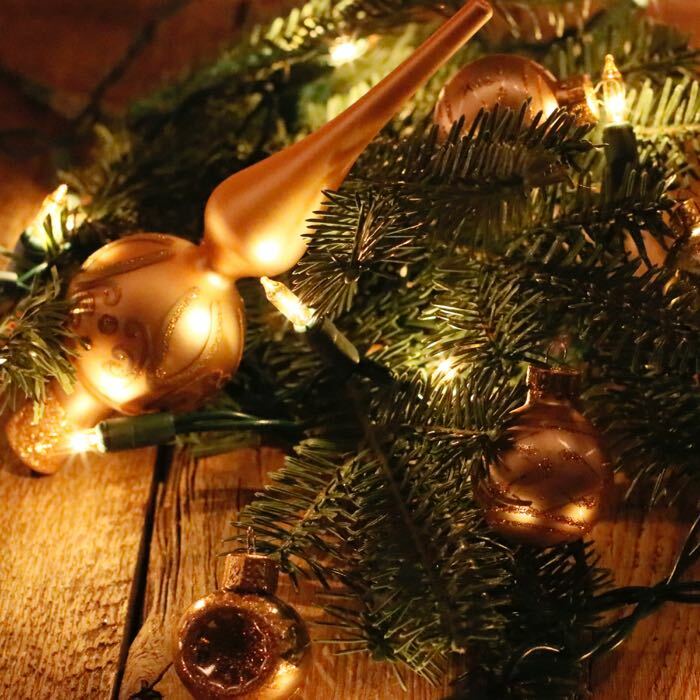 One of our favorite colors to brighten up the holidays is yellow! The rich golden color of these lenses can create sunshine or drama in both indoor and outdoor applications. With 100 lenses to the string, your projects will glow beautifully. Run up to a maximum of 5 sets together before adding a second extension cord. 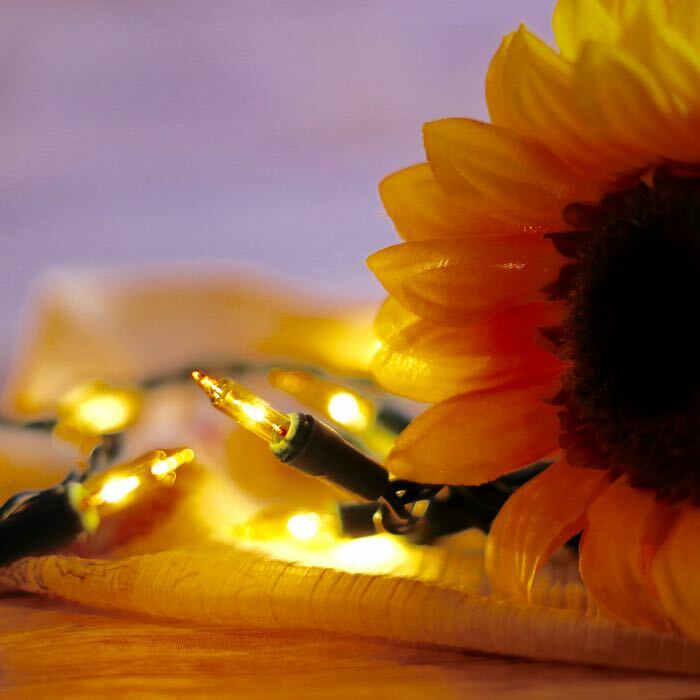 Use these yellow Christmas lights to bring sparkle to outdoor parties. The 6-inch spacing between bulbs makes an ideal wrap and lighting for your fencing, tree trunks and stair railings. 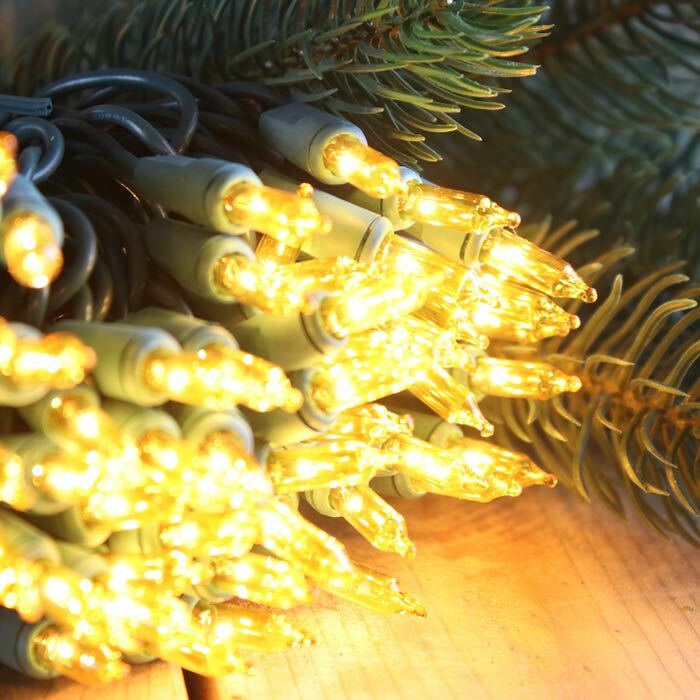 To create interest in your lighting projects, combine these yellow Christmas lights with other colors of mini lights. 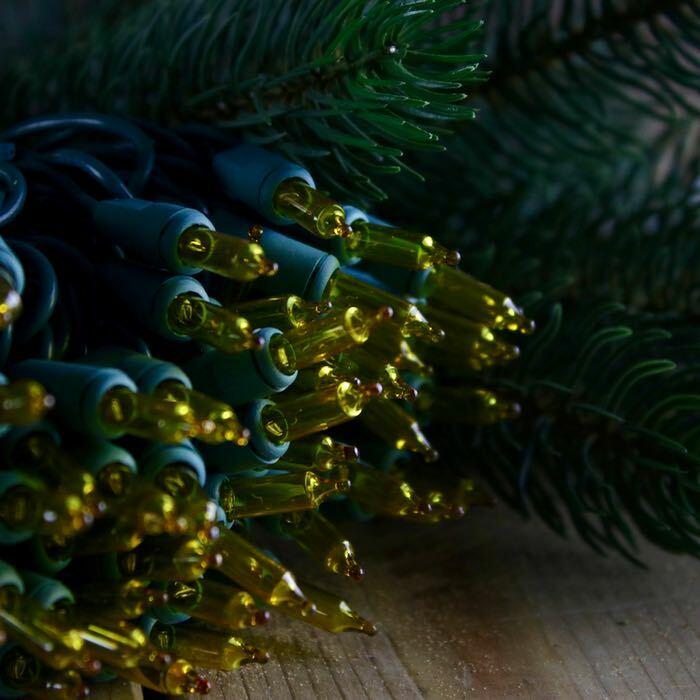 You may even want to create a dramatic look by using them with our larger Christmas bulb strings.